If you are looking for a navel ring that is cute and comfortable, you can’t go wrong with one of our Bioplast navel rings. These navel rings are made of a flexible material called Bioplast and also known as BioFlex. Bioplast is soft, bendy and great for your piercing. 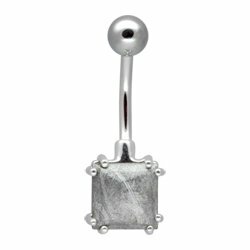 It is non-irritating and people find it much more comfortable than metal navel jewellery. It also comes in lots of cool colours, so these Bioplast navel rings look as good as they feel. Below you can see just a small selection of our Bioplast navel rings. We also have clear Bioplast navel rings and lots more jewel colours to match your style. Some of the navel rings do not come with a top ball. These ones are often a little longer, so you can trim them to exactly the right size. Despite it being very durable, you can trim Bioplast with sharp scissors, so there’s no excuse for a poorly fitting navel ring. One you have got he right size, just screw a Bioplast ball on the top of your navel ring. The navel rings are £2.95 and the balls start at 99p, so the whole thing will still cost less than £4. This entry was posted in Belly (Navel) Piercings, BioFlex Body Jewellery, Navel Bananabells and tagged Belly Button Navel Ring, Belly Button Navel Rings, Navel and Belly Button Jewellery, Navel Bar, Navel Bars, Navel Jewellery, Navel Ring, Navel Rings on March 22, 2011 by Piercing Guru.